Rewind Maria, back to Friday September 22nd. The community of Martin Peña wakes up to a devastated and flooded community. There is no power, no water & the telecom infrastructure is decimated. The few community leaders with power on their phones, thanks to solar battery chargers, program their nearby beacon technology to broadcast a message: “Help! Playita is drowning!”. Anyone nearby, a few hundred meters from their beacons, are alerted to the situation. Those in the neighborhood are now aware of their critical conditions. The signal is then amplified by “Marimesh”, a local Mesh text network that reaches the nearby hospital emergency center & firefighters. This is the dream response that never happened. But, we can make it happen. As a community of developers we have the opportunity to make our communications more resilient and interoperable with, or at least complementary to existing emergency management systems. This hackathon, focuses on finding creative solutions the potential vulnerability of our telecommunication infrastructure after a disaster. 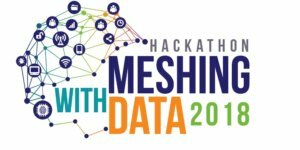 Technologies that will be explored and used during this hackathon include, satellite backhauls, mesh wireless (WiFi, LoRa, etc. ), machine learning/AI, GIS/Geolocation, Ushahidi, Blockchain and other data management systems. To develop new and innovative ways of communication that may be deployed and used before, during and after any event that disables legacy telecommunication networks. Integrate open source/open hardware solutions into the existing mesh network technologies. Bridge & route multiple mesh and/or ad-hoc networks. Develop strong relationships between local emergency management agencies, volunteer search & rescue teams, incident response technology groups and our local developer community. To increase to use of data collection, analysis and visualization tools for emergency response/management and population health under crisis scenarios.